Your experience at our Self Storage Plus facility in Baltimore, MD, should always be worry-free, professional and efficient. To help further streamline your storage process, our knowledgeable onsite management team is ready to assist you whether you need guidance to select the storage unit size and type for your situation, need help determining the best boxes or packing materials, or would like some suggestions on how to stack and store your items to maximize your storage space and save you money. We also accept package delivery. Moving day is made simple with our free one-time move-in truck rental included with your new self storage unit rental. For more sensitive items, you can select a climate-controlled unit which regulates the humidity and temperature of the environment to better preserve its contents. For the most convenient unit to get in and out, select one of our drive-up storage spaces. Whether you store in one of storage spaces, or park your truck, tractor trailer cab, or boat and trailer up to 25ft, you will benefit from twenty-four hour video surveillance on our fenced, well lit, and gated property with keypad entry, providing you extra peace of mind while entrusting your belongings to us. 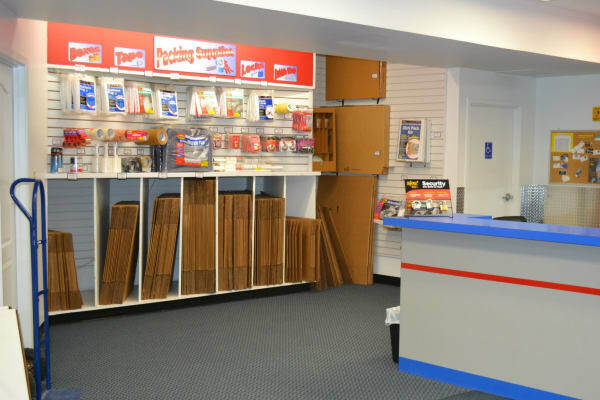 Interested in learning more about our self storage facility in Baltimore, Maryland? Call our knowledgeable management staff today.